How To Study Current Affairs For IAS Exam? As part of IAS Prelims syllabus, "Topics of national and international importance" are mentioned explicitly. For ease of convenience aspirants and coaching institutes call this area as "current affairs". For IAS Mains syllabus, nothing is mentioned explicitly which can be correlated with current … [Read more...] about How To Study Current Affairs For IAS Exam? How To Study International Affairs for UPSC Mains Exam? International Affairs and Institutions are part of UPSC Civil Services Mains syllabus under General Studies Paper 2. The topic is different from the foreign relations/international relations part in the sense that questions asked may not in connection with India. Questions from this section may be … [Read more...] about How To Study International Affairs for UPSC Mains Exam? How To Study Foreign Relations of India For UPSC Mains? Foreign or International Relations (IR) of India comes under UPSC Civil Services Mains General Studies Paper 2. India's external relations with respect to other countries and international organizations is the point of focus here. India's diaspora (NRIs and PIOs) is also an area of priority. Now … [Read more...] about How To Study Foreign Relations of India For UPSC Mains? How To Study Science and Technology For IAS Exam? Questions from Science and Technology is asked in UPSC Civil Services Prelims General Studies Paper 1 as well as in Mains General Studies Paper 3 (GS3). Science part deals with subjects like Physics, Chemistry and Biology. Technology part deals with application of various sciences. Questions can … [Read more...] about How To Study Science and Technology For IAS Exam? How To Study Environment For IAS Exam? Environment is a term which is widely discussed all over the world, and UPSC question papers year after year are proving that Environment and related areas are a must-know for every Civil Services aspirant. Questions from Environment touch areas of basic understanding as well as hot topics of … [Read more...] about How To Study Environment For IAS Exam? Indian History Chronology: Ancient India to Modern India – Learn faster! Indian History Chronology: Indian History is a topic of interest to many including foreigners because of the cultures and civilizations existed in this sub-continent. 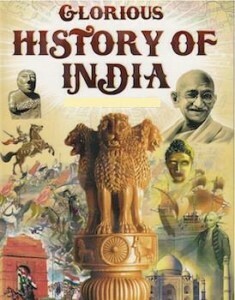 History of India can be studied under political, cultural, religious or economic heads. Indian History Chronology Chronologically, … [Read more...] about Indian History Chronology: Ancient India to Modern India – Learn faster!